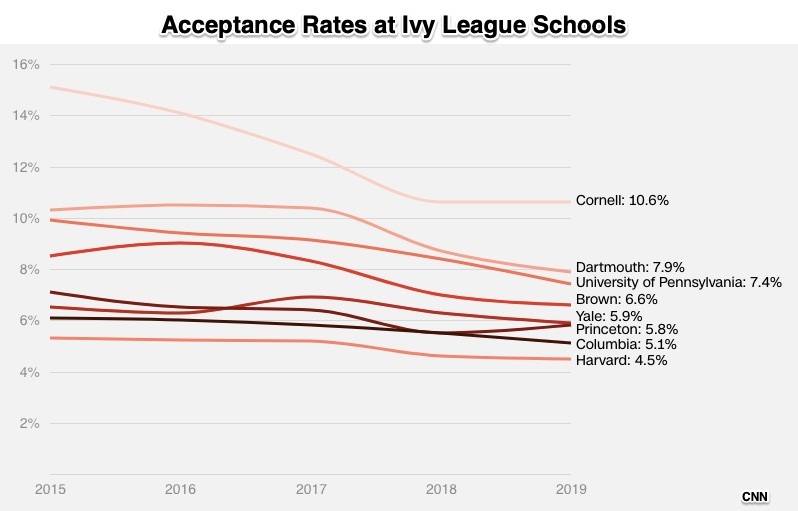 While applications to elite schools are up, their acceptance rates are down. The applicant pool is bigger but the sliver accepted has shrunk. Yale, last year, received 36,843 applications. They said yes to 2,178. Similarly, USC (University of Southern California), accepted 11% of the 66,000 (or so) students who applied. Perhaps the lowest, Stanford’s admissions rate was 4.3%. Where are we going? To whether an elite school makes a difference. In a recent paper, researchers looked at the lives of approximately 9,700 men and 9,700 women who entered elite colleges in 1976. The study focused on when they were in their late 30s. 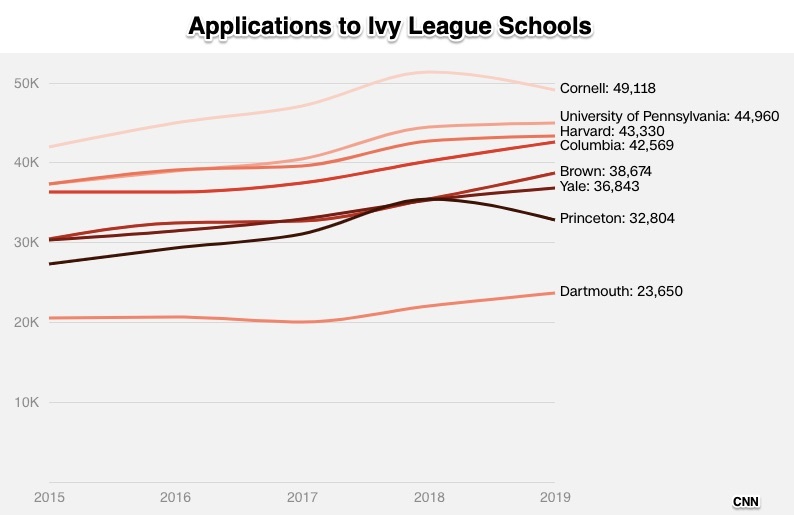 Using professional and personal data from 34 schools, they wanted to see if attending a selective college made a difference. The answer? For women, yes. But not for the men. Married women with children who attend elite schools tend to earn more because their labor force participation is higher. Perhaps correspondingly, women who attended elite schools are more likely to get advanced degrees, they marry later (if at all), and start families later. As for their mates, they too are more educated. For men, that elite school appears not to have made a huge difference. Their earnings and the women they marry differ little from the control group with whom they were compared. Yes, they could have benefited from going to school with people who had higher SAT scores. And, they might have used the positive signaling that elite schools provide. But still, when compared to a control group of similar people, the benefits were negligible. 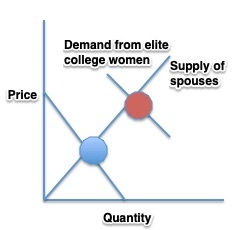 Women who attend elite colleges bring special characteristics to marriage markets. Because of their education, they demand mates who also are more educated. Furthermore, they could have higher utility than other women because they wait longer and build their professional expertise. So where are we? Elite school attendance seems to matter more for women than men, especially in marriage markets. But please do look at our previous post where we emerge with different conclusions. My sources and more: This month’s NBER digest included a paper on select college outcomes. I recommend subscribing to the digest’s monthly email for news of new research. The complement is this CNN article and this from the NY Times on acceptance rates. Our featured image is Yale’s Sterling Memorial Library.